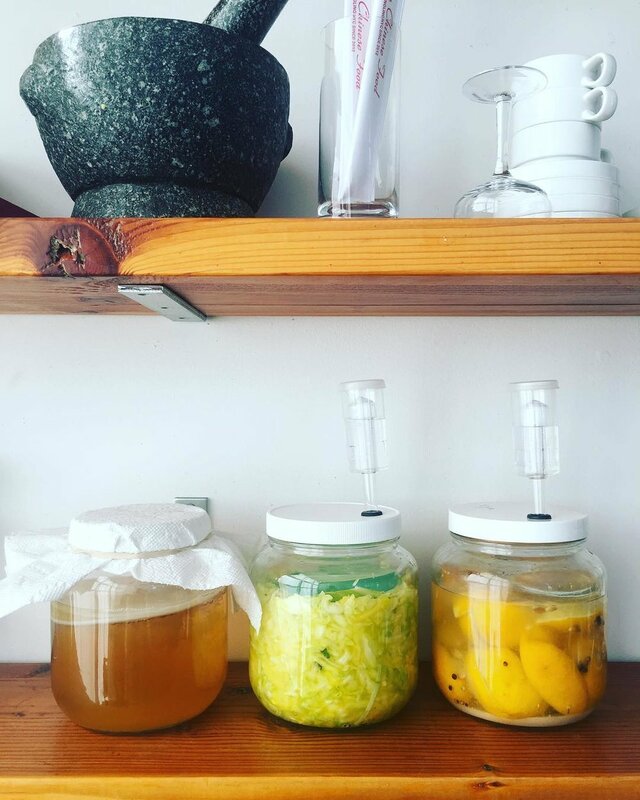 There are lots of lacto-fermentation set-ups, but we prefer to keep it as low maintenance as possible. That’s why we use airlocks: they keep the fermentation process super simple and mostly hands-off, so you never have to worry about your project while it ferments. Our airlocks are made of 3 pieces: the cap, inner dome, and main chamber. To assemble, just remove the cap (which may be a little tight the first time you take it off), fill the chamber about two-thirds of the way with water (tap is fine! ), place the dome inside the chamber and cap it. Now, push your assembled airlock firmly into the grommet on the jar lid. 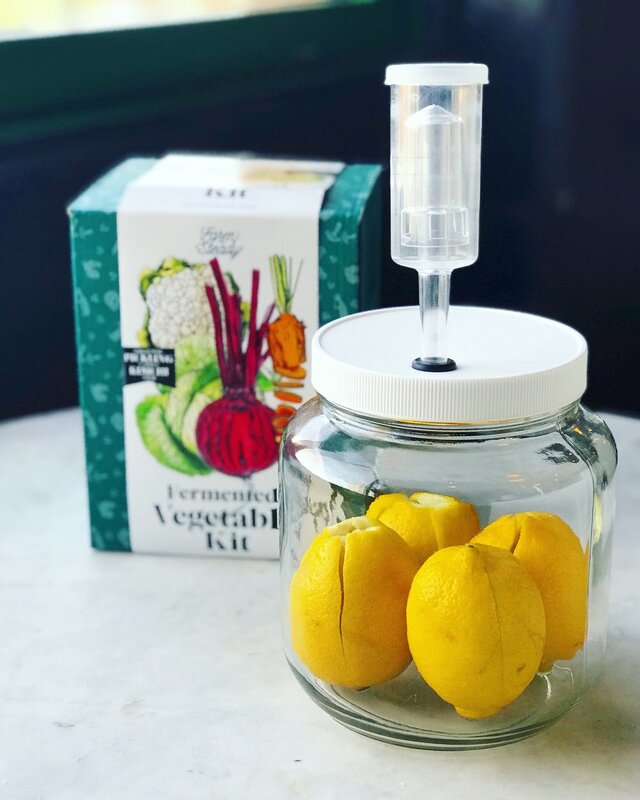 You’re ready to ferment! When you’re making kimchi, pickles, kraut or anything else, gases and bubbles are created during fermentation. Those bubbles need to be released when you’re fermenting in a closed container, which is why you might’ve heard of “burping” your jars to let the bubbles escape. We think that’s kind of gross, and we’re really not interested in babysitting our jars that way. The airlock lets all those bubbles out without letting anything else get inside your fermentation jar. That means you can set your jar aside and not worry about it during fermentation. What if something gets into your airlock? If a day or two into fermentation you notice the liquid in your airlock is cloudy, don’t worry! It just means your fermentation was super active and pushed some of the brine into the airlock chamber. To fix it, just remove the airlock from the lid, rinse out the chamber, refill with clean water, reassemble and pop it back on your lid. On the opposite end of the spectrum, sometimes the water level in your airlock can get really low (this can happen in the summer when there’s a lot of evaporation). Just take it off, top with water, and pop it back on.